It’s no secret that we’re big Playmobil fans round these parts. I’ve been lucky enough to meet one of the founders of the company on a visit to the Playmobil HQ in Germany, and Flea has been a Playmobil playologist for the last two years, which has involved trying out loads of Playmobil sets. Her top recommendations from 2012 can be found over on her blog, Flea Reads. This week, we were sent a Playmobil advent calendar. Now, as it happens, we bought our own Playmobil advent calendar back when Flea was three and we love bringing it out each year. You can get advent calendars from Playmobil with pirate or fairy themes, but we’re old school – our advent calendar allows Flea to build a lovely winter scene over 24 days, featuring cute animals, snow-laden trees, a working music box and Father Christmas himself. The calendar works in a fairly simple way – you hang a stiff cardboard backing onto the wall, and there are 24 collapsible cardboard boxes that hook onto the backing – each containing one or two small items that can be added to a scene background, which sits comfortably on a shelf in your home. The whole thing is quite sturdy – ours is four years old and still completely intact – but there are a few spare boxes in case of accidents, and you can buy replacement parts, too. This year, Playmobil sent us a new Christmas scene advent calendar but we’re still very attached to ours, so I’m giving this brand new one away to one of my readers. This set features Santa, an angel, and lots of little woodland creatures. It’s recommended for children aged 4+, because of small parts. If you’d like to win, just leave a comment at the bottom of this post telling me your favourite Christmas carol, and I’ll pick one winner at random on November 16th at 5pm. The calendar will be posted to you in time to use this December (UK residents only, please!). Use the Rafflecopter widget to register your comment, and there are bonus entries to be had, too. Rules: One entry per person; entries made via automated or online services will be disqualified; users must provide an email address so I can contact you; winner will be contacted by email; in the event the winner cannot be reached in 48 hours, the prize may be re-allocated; competition open to UK residents only; prize will be dispatched using a recorded post service. Next Post Stop Whining about Child Benefit Already. It has to be ‘O Little Town Of Bethlehem’. Always brings back the memories of my school carol service and how I would feel that sense of anticipation and excitement that Christmas was only a few days away. Now I get the same buzz when I take my daughter to her carol service. My favourite is Once in Royal David’s City. I love the solo on the first visit. Is it wrong that I want to win this for me?! The kids can have the chocolate!!! My favourite carol is “away in a manger” which I often get quite teary to when listening! Also partial to a bit of “in the bleak mid winter, frost wind may moan” LOVE that line! Barenakedmummy recently posted..In the nud or Piejamas? Thanks Sally – the calendar looks great but we’ll be sticking to our traditional “build a manger” type nativity calandar too. Whilst the lego, playmobil and other yummy chocolate (Hotel Chocolat one in particualr) ones look fab, paying vast amounts of money just seems silly for a calendar and to me personally, bares little relation to what Christmas is really about. To me a calendar is about counting down to Christmas and enjoying a picture of a pretty bauble, shepherd or angel. It’s about that rush my brother and I used to do down the stairs to see what picture we got today and finding that blasted little door! I see your point – I’m not a fan of the themed LEGO advents as – to me – they’re nothing to do with Christmas. But this calendar (and the one we own) is all about Christmas and includes a Father Christmas, an angel, and lots of Christmassy-details – as for ridiculous money, the calendar costs £17, which given ours is about to used for its fifth year makes it pretty good value for money in my book! To be fair, you could say that about any advent set – don’t your children want to play with the nativity figures? I do love this set – considering we’ve had it since Flea was 3, and we’ve not lost a single piece or box, and it gets used every year, I think they’re a great buy. My two LOVE figures – normally character ones though – e.g. Harry Potter figures or little lego ones that they can change the bodies and heads on lol. It’s not the re-using thing that frustrates me (frankly I love to see my two creating games and scenes using their imagination) and I like that the playmobile figures are at least Christmas characters, but it’s the getting a toy a day type thing. It’s unlikely that they would be able to put these figures back into the calendar to take out next year – or am I wrong? Maybe one could put them aside and into a storage type calendar with boxes for each day (?!). I guess I’m just harking back to my days as a child when just opening the door to see and appreciate the picture was the thrill and trying not to over comercialise it – Christmas = every day treats and more…. Do you know what I mean? Maybe I’m just old fashioned and tight LOL. It’s a tough choice but I’m going with Once in Royal David’s City as I remember that being my favourite to sing as a child. Away in a manger. Love it. Oh come all ye faithful! An oldie but a really good sing along carol! In The Bleak Midwinter: the school choir used to sing it every winter term at Nine Lessons and Carols. The guy who did the solo always used to have me in tears. Wish I had a copy actually. Hmmm I think I would have to say silent night! Little Donkey is my favourite christmas song the melody is lovely reminds me of life – got to keep on plonding onwards with your precious load. My favourite carol has to be Oh Come All Ye Faithful. Christmas isn’t complete without a stirring rendition of it, mainly out of tune! My fav carol is Whilst Shepherds Watch there Flock by Night for 2 reasons…. It’s the only thing that I can play on a piano after my teacher taught it to me be over 30 years ago. I also cannot help but sing whilst shepherds wash their socks instead . Brings out the kid in me every time. We Wish You A Merry Christmas because it’s the only one I can ever remember the words to. Another vote for Once in Royal David’s City – I sang the first verse in church, although as 10 year olds in needed 3 of us to be loud enough for the solo! My favourite is We Three Kings. Am hoping that Fairytale of New York counts as a modern Christmas carol because it’s my favourite! I would love to win this for my children, fingers crossed then. Oh and of course my favourite carol is Little Donkey. Little donkey is my favourite because I used to sing it as a child and last year I watched my daughter who has severe speech & language disorder sing and sign it in her first big carol concert! My favourite carol is “O Little Town of Bethlehem”. I like Silent night while in the church, but Last Christmas, always means time to shop!! Carolin recently posted..Just the way you are – what do you like about your body? O Christmas Tree – I learnt it in French in primary school and it just stuck with me. I can still remember all these years later! Away in a Manger, by far my favourite Christmas Carol. Don’t know who would appreciate this prize more- my kids or I? Oh Little Town of Bethlehem – always makes me stop and ponder the holiday season. Brings back memories of Christmas past!!! Silent Night is my favourite as it;s the only one i can sing in tune for some strange reason lol. ROCKING AROUND THE CHRISTMAS TREE..
Have to be the odd one out here and say I dunno about these things – while Playmobil is good value for money, you look at the Moshi Monster one and the Lego Star Wars and you wonder how many kids are going to be upset that they can’t get the £20 advent calendar. Or perhaps I’m just a miserable Scot. Been drinking all the sherrrrryyyy! Sam recently posted..It’s a good day.. Mine is In the Bleak Midwinter. Just gorgeous and never fails to make me blub. Brings back memories of carolling with my junior brass band in motheaten old Victorian outfits (this was in Hebden Bridge – I think the poor kids still have to do it every Christmas). It came upon a midnight clear – very atmospheric on Christmas Eve. 3 Kings From Persian Lands Afar. Used to sing this at school in the annual carol concert for the parents. In the Bleak Mid Winter. I sing this in a choir and the alto part is very moving. Away In A Manger , it’s the first one i remember singing at school. Once in Royal David’s City for me, it reminds me to being 14 and singing it solo at a concert for 2000 people, ekk! Michelle twin mum recently posted..Operation Christmas Child – want to get involved? My favourite carol has to be O’ Little Town of Bethlehem – it reminds me of happy school days and the end of term Christmas concert! I’m not too sure why but mine is In The Bleak Midwinter. O Come All Ye Faithful – even though I now sing it *properly*, I still have to fight the urge to bellow it out like I did as a kid in Christmas assembly at school – usually getting told off in the process! Mine has to be Away in a Manger. I think every child in the UK has been made to sing it at some point in time! Brings back some very fond memories. Mine is Little Donkey, I love it so much I hum it year round, crazy but true! I love Once in Royal David’s City- so simple and lovely- to be honest I love all carols though! The drummer boy song is my favourite. O come all ye Faithful – Triumphant! The verses and the chorus are equally strong and everyone is able to sing, sing, sing with out wondering slightly on tune or words too much. Little Donkey, because it is the first one I can remember being sung to me at home and at school. I am looking forward to singing it to my daughter this year – she loves animals and I think she will love this calendar. Talking of donkeys…. I need to check their is one at the Santa’s grotto we have booked to go to – there may not be as it is at a zoo! My favourite Christmas Carol is We Three Kings. In the past, I’ve been called pretentious for liking this but I love the Coventry Carol. No, it’s not one we’ll all be singing, and being based on the story of Herod’s massacre of the innocents, it’s a bit ‘heavy’ for some people. But it’s more than 500 years old. And to me, it’s always felt like a connection with the past, and that’s something Christmas ought to do. Currently loving Little Donkey, but only when belted out at full volume and completely tunelessly by my son. Makes me giggle. I love little donkey , or once in royals davids city . I love “It was on a Starry Night” – the kids sing it every year at their Carol concert, and it’s fab. I don’t know if it is classed as a carol or hymn, but Little Donkey is my favourite! I was singing it the first time my baby boy kicked (in october) and it was his get to sleep song anytime of the year! It has to be ‘Silent Night’ – so sweet and serene. Good King Wenceslas. My little boy, aged 6, took a fancy to it in November last year. He learnt all the verses off by heart and sang it numerous times everyday whilst plonking radomly and loudly on the piano. The obsession lasted well into January! Away in A Manger as I actually know all the words!!! I think it’s quite a relaxing carol too. It has to be Oh Come All Ye Faithful. I just love it. And I expect I will be singing it all day today! Good King Wencelas, I know all the words! Silent Night has to be my favourite. Silent Night wins my vote. Such a beautiful song! In the Bleak Midwinter is probably my favourite but I like most of them, they make Christmas for me as opposed to Christmas songs which ruin it! Away in a Manger- sends me into floods of tears, especially when song by children at a nativity play. It has to be Hark the Herald, or O Come All Ye Faithful – with the descants, of course! It’s a choice between Away in a Manger and We Three Kings. I adore ‘In the Bleak Midwinter’ and have loved it since I was in infant school. Christina Rossetti is an amazing poet and it always makes me feel a bit weepy. I *love* Christmas carols… Not sure if Guadete counts as a Christmas carol, but it’s definitely my favourite.. Otherwise, I’m with the innocence of Away in a Manger – particularly now Moo has started singing it! Natalie recently posted..Mummy About Town- First Blog! Partridge in a Pear Treeeeeeeeeee. Is that a carol?? Little Donkey has become my favourite this year as my nearly 4 year old now know all the words. I can’t wait for Christmas so he can sing it for everyone. Little Donkey – I used to love singing it in the school nativity when I was a child. Constantly singing & (trying to) harmonise it every Xmas! My little one is learning Little Donkey, I think it’s a great xmas carol and listening to him sing it makes my heart swell! My favourite is a little unconventional. When we were children my mum had a cassette (which was then replaced with a CD) with a story on it that was sung, Whoops-A-Daisy Angel. It was about a very clumsy angel and it came out every Christmas for us to listen to on our way to school. I can probably still sing you every word to the main song “Whoops-A-Daisy Angel”. If I had to choose a conventional song it would be O Little Town Of Bethlehem, my sisters and I often used to put on our own four person nativity on Christmas day, complete with programmes and hymn sheets for the oldies. This is the hymn I always chose to play (badly) on my recorder/clarinet. ‘What Child is this’ sung at the same time as ‘Child of the Poor’ gorgeous. My favourite is ‘Oh little town of Bethlehem’ for sure. It reminds me of carol services at school. I love the Playmobile advent calendar but I am a bit of a stickler for traditional, magical christmas scenes with nativity and Father Christmas. Just found great company for traditional advent calendars and cards- orchardcards. God Rest Ye Merry Gentlemen, is a massive favourite for me. 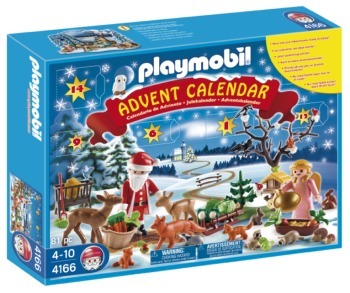 Hey Buddy!, I found this information for you: "Win a Playmobil Advent Calendar". Here is the website link: https://www.whosthemummy.co.uk/win-a-playmobil-advent-calendar/. Thank you.